The Hartmann Navy Seapack from Racine, Wisconsin. 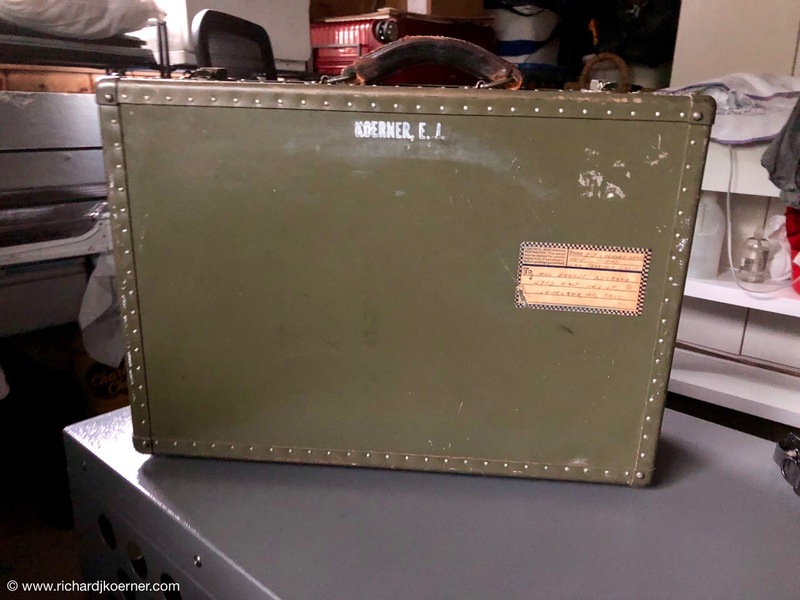 It was my Dad’s official Navy luggage from WWII. The Porter Case, a great piece of carryon luggage for photographic equipment that turns into a dolly. I was perusing things in the crawl space and noticed my Dad’s old Navy suitcase. I was surprised to see that it was made by Hartmann of Racine, pretty much in my own back yard. I thought it would be cool to have it out, but I could not think of a way to use it. In cleaning out the cabinets in the Family Room, I fumbled around finding my cameras and their accessories and once again, I was not happy as their location was not conducive to finding what I need. Then I thought, maybe I should take the Navy Seapack, a metal, very durable suitcase and turn it into a central location for my equipment. It is separated inside with a flap that locks on the upper portion (which is not as deep as the bottom portion. The dimensions are: 20″ wide x 14″ tall x 7″ deep. I cleaned up the outside and then did the same for the inside, throwing some baking soda in and opening it outside to get some intense outdoor, cleansing sun. It had a funny, stale, yet not displeasing odor from all of the years of being closed up. At the end of the day, after my clean up and efforts to make its closed up smell less evident, I grabbed my cameras and put them and their accessories inside. It actually fit perfectly. 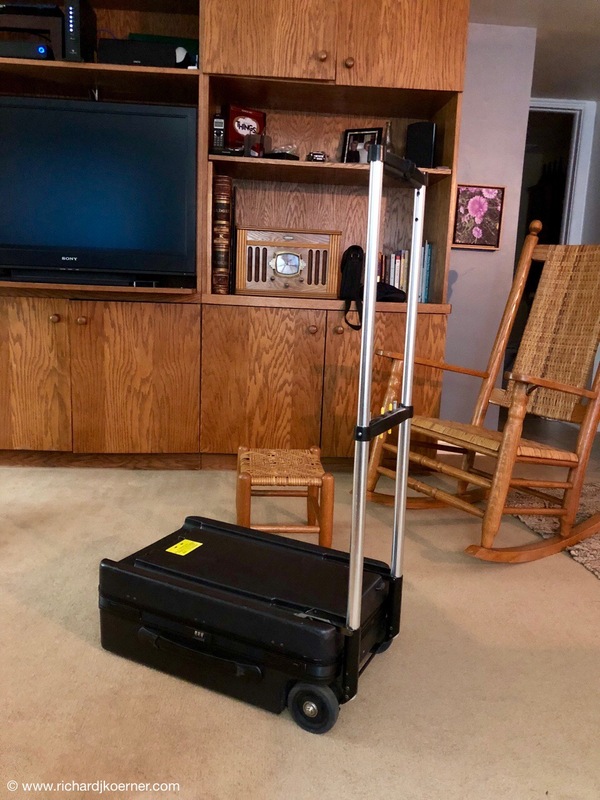 The reason I thought of it is because when I was working for the language lab company (from 2007 till 2009), I had a black piece of luggage, a real gem of a metal piece of luggage that was expressly built for transporting photographic equipment. We used it when going to conferences with computers and paraphernalia. The best part of the piece was that it turned into a luggage dolly, and a strong one at that. We will see if this works out, but meanwhile I have all the equipment in one spot, making it more difficult to misplace things. Heaven knows that at this point in my life that doing so is a huge advantage. This entry was posted in Life in general, Navy, Photography, Thoughts and philosophy. Bookmark the permalink.